Thirsty Pilgrim: Pairing Turkey and Beer. 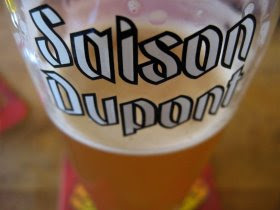 If you want a Belgian ale with turkey, go with Saison Dupont. If you want a French beer, go with Castelain Blond. American beer? It's an American holiday, after all. In that case go for the reasonably Saison Dupont-ish Hennepin from Ommegang. 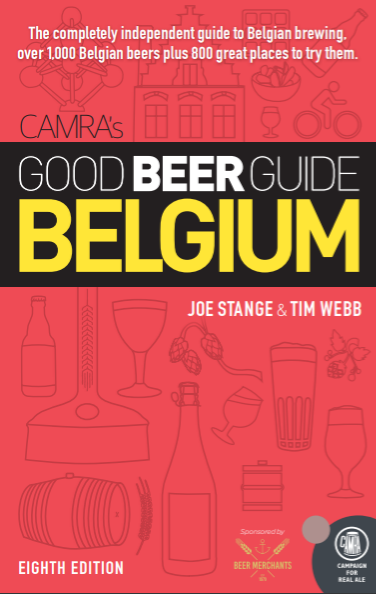 That's the prevailing school of thought among the beer-geeky-foodies: Turkey goes best with a classic-style saison or lighter biére de garde. This is one of those rare spots where the prevailing school of thought prevails for a reason. There's an article in the Savannah Morning News today on pairing turkey and beer. (No doubt there will be more of these in the next couple of weeks.) Great minds think mostly alike. Those three beers are there, plus the Brooklyn Local 1. And may Garrett Oliver smile upon ye. But I've got to wonder about the Local 1. OK, I've never tried it. But at 9% alcohol it sounds a bit boozy for a turkey beer. Last night we roasted a big bird for friends as a sort of Thanksgiving warm-up (the holidays approach – my druthers demand a running supply of turkey and/or ham leftovers in the fridge for the next three months). We drank Dupont's Avec Les Bons Voeux, weighing in at 9.5%. I lurve this beer, and others had recommended this to me as a turkey beer. The pairing was fine but not spectacular. Moderate bitterness and lively carbonation cut through the turkey and gravy well enough. The flavors didn't step on each others' toes. But there was definite alcoholic warmth showing through. That's OK with dessert or digestif... but I don't want it with dinner. So, again: Saison Dupont, Castelain Blond or Hennepin – that last being your best value if you're in the States. Those well-established turkey beers all hover around 7% alcohol. I don't think that's a coincidence. By the way, lagers also work great... pils if you prefer white meat, Dunkel if you prefer dark meat, and amber if you like both. Yes, I'm aware of how stupid that sounds. Test it for yourself and see. But you know what? The fun's in the experimentation and screw the conventional wisdom if it doesn't work for you. So, what does work for you? I'd love to hear other suggestions. What's your turkey beer? Or wine? Or whatever? War, Beer, Beer, and Cassoulet. Christmas is the Best Time of the Beer. Saturday Morny and Lambic Horny at Cantillon.